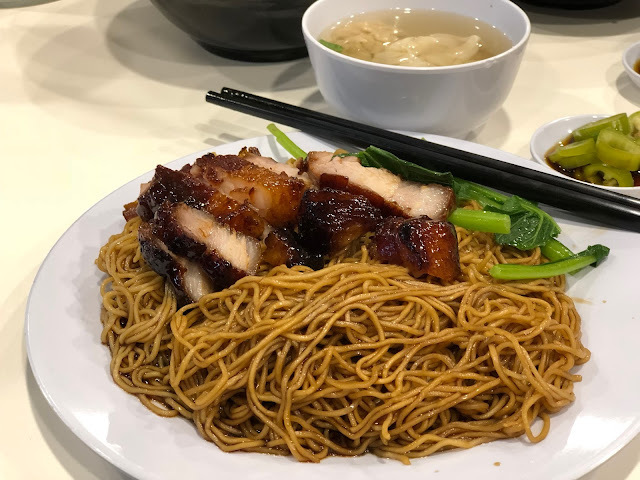 The Wanton Mee in Singapore is very good these days. After all, one has won a Michelin star. Many stalls sell noodles which lean more towards Hong Kong style, springy, thin and al dente. In the earlier days, you have to go to Cantonese chains like Crystal Jade or Imperial Treasure to enjoy them. These days, they are getting very common in HDB Food Courts. The Malaysian version, which I grew up in, is not as thin but it has its own al dente bite when cooked just right. It also has little of the alkaline smell. 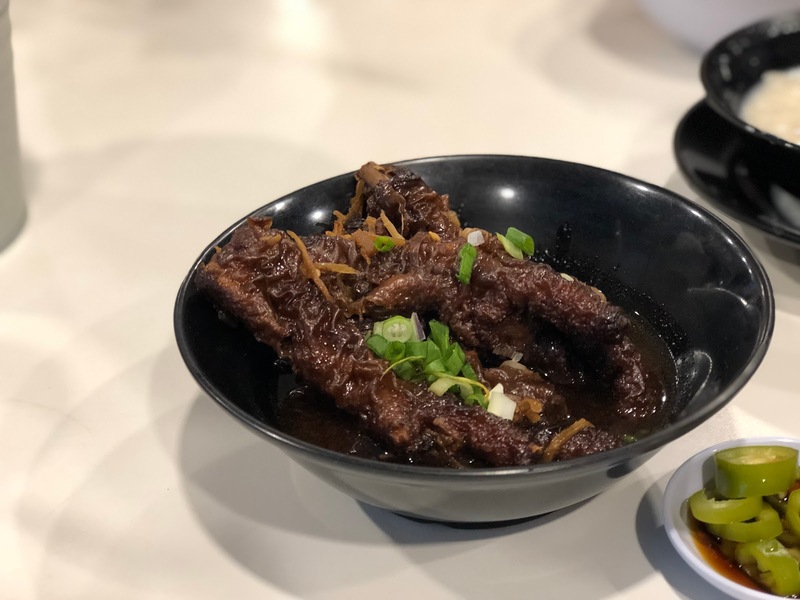 It normally uses black caramelised sauce (thick sauce) and the leftover sauce from the Char Siew is also added, along with some lard. Some wanton in a soup is served alongside. Red chilli paste is not added so that it does not mask the subtle tastes of black sauce and lard. 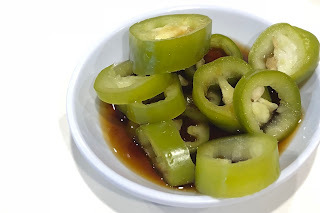 Instead, pickled green chilli is used. A trip back to my hometown, Petaling Jaya means a chance to revisit some comfort street food. And Annie1 has become one of our regular haunts. The thing I like about this restaurant is how everything is cooked and prepared well. 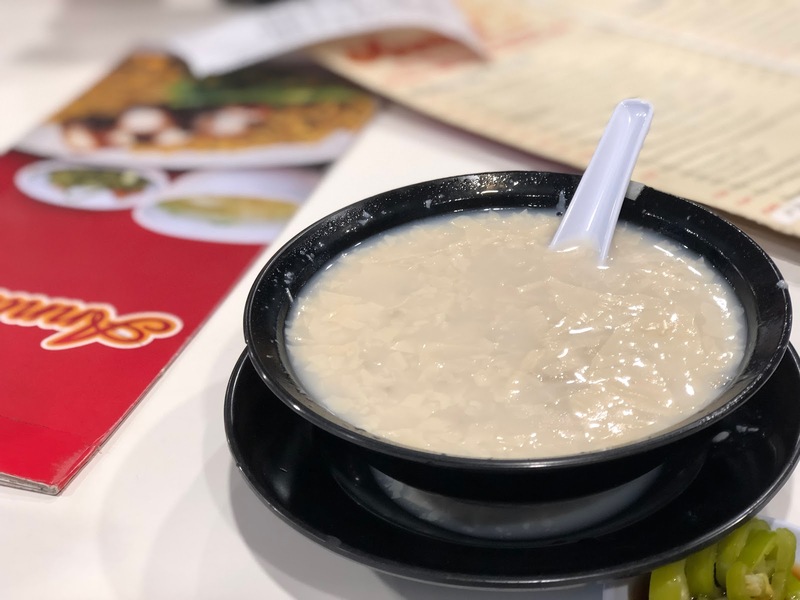 Everything that is slurped, spooned and sipped there that bring back very familiar tastes, those that have stuck in your palate memories, tastes that you have come to associate with a certain type of food. And Annie1's food is about as traditional as the church I am pastoring. It seem like hundreds of years of street food have been preserved here. At the heart of their menu is the Wanton Mee. Apparently, this owner and cooks came from Ipoh and they serve the famous Menglembu Wanton Mee. I have tasted this mee in Ipoh more than 20 years ago. The Char Siew, sticky and black, taste very similar to the home-style Wok-cooked ones. I suppose those from KL like me have grown accustomed to this type of Char Siew. The Wanton is average but the bright pickled green chillies is so good that I made sure that one is added to every spoonful of mee. What was a pleasant surprise was how good the Braised Chicken Feet was. It was done just right and had great flavours. Deep fried and braised, I could the taste hints of peppercorn. Texture is everything when it comes to chewing feet and their version got it right. Not exactly the kind of thing you want to eat on your first date but well, we are now married for over 20 years! As for desserts, the bowl of Foo Chook Barley taste like how my mum would have made it. I wish I know where they sauce the foo chook (dried bean curd) from. Ipoh, I suppose. Their kaya is the best I have come across in recent years and I always buy back a few tubs. The teh and white coffee here is perfect, the Yam Cake is also good. I can't speak for the other dishes which I have not tried but I can imagine that it will be mostly good, given their attention to quality and detail. We will definitely be visiting this place again - and again. Annie1 is the MUST go to pit stop for us whenever we head back to KL from Singapore. Love love their WTM! !